If you follow football and are interested in betting on the sport but do not know where to start, this guide is for you. 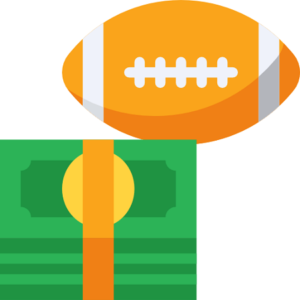 We have put together this basic football betting guide to help you understand what betting on this sport is and how to place your first bet. So, read on to find out more. 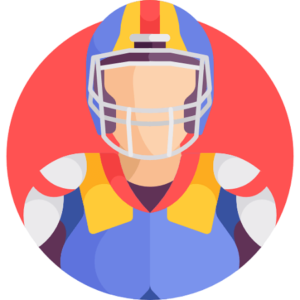 So, we already know that when it comes to football, there are two major leagues – the National Football League (NFL) and the Canadian Football League (CFL). You can place wagers on both of these leagues. To start wagering on either of these two leagues, you have to choose whether you will be betting pre-match or on a live game. Then, you will have to choose the odds for the bet you want to make, and you will be ready to place your bet. Note that, not all sports betting sites offer the same odds. Moneylines – You place this bet on which team will win the match. Props – You place this bet for some of the outcomes that will happen during the game such as which team will score first. Futures – You place this bet on the result of a team or specific players over a gaming season. For example, you will bet on which team will win the Superbowl once the season starts. Parlays – When you put together different kind of bets into one. For example, you can choose to bet on a point spread bet on five different games. Teasers – is also a kind of parlay where you can modify the point spread or total wagers you have made into one bet. The bets will be changed to be in your favour. Pleasers – similar to teasers; however, the difference is that the bets are changed in favour of the bookmakers. Since we spend more time on our mobile phones than actual PCs, it only makes sense to have Football betting apps. These apps make it easier to wager on your favourite team no matter where you are in the USA. There are things that you must look out for to find the best Football betting apps. The top Football betting apps will update their odds often and must be done fast. It also needs to have the option to place wagers live and have different bets available on mobile. Have a bankroll for placing wagers. This allows you to manage your bankroll better. Understand how handicapping works before placing any bets. Handicapping is a sports betting strategy where you compare odds from different sports betting sites to choose which odds have value. This strategy will help in making good betting decisions. Choose to use simple betting strategies. Start by learning the simple strategy to maximise your chances of winning. Learn from your mistakes. It is common to make mistakes when you are starting out, and that is ok. You will be able to learn from them and make informed decisions on your next bets. Start by choosing whether you will be betting pre-match or on a live game. Then, select the bet with high odds. What is the best betting app for football? This depends on player preference, but there are things that you must look out for when searching for the best football betting app. Each betting will have its features and offers that will make it appealing. Look out for various apps and compare them against each other to find the best ones. What is the best betting site for football? You have to search for the best football betting sites. To find them, you have to read reviews and choose from the list we have here on our website because they have been expertly reviewed and are safe for US players. What does a spread mean in football? The spread is a kind of bet you can make, and it is also known as the point spread. When you bet on the spread, you are predicting the favourite team or the underdog will win with the points that the bookmakers have listed.